Green Papaya Supports the Red Cross on Sunday! One of our favorite restaurants is lending a hand on Sunday to those in need in Haiti. Green Papaya's owners in Hyde Park are donating all of their food on Sunday, and 100% of sales that day are being donated to the American Red Cross for disaster relief in Haiti. So come join everyone at Green Papaya (if it's too crowded there's always take-out!) 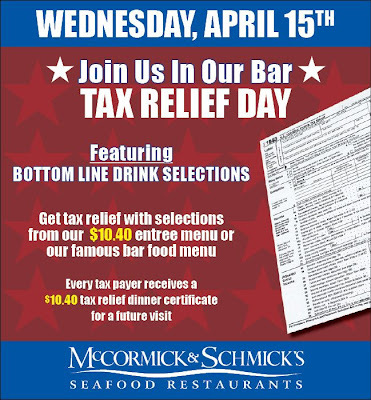 and help support the Red Cross in a delicious way! Hat tip to the Enquirer for this one! Great Hyde Park Mexican restaurant? Bull-ogna! El Toro, a Mexican restaurant, is one of the latest results of the revolving-door that is Hyde Park Plaza. We stopped in for lunch the other day to finally give it a shot now that they’ve have time to settle in. And in short, we likely won’t be back. El Toro is basically a cheap version of Don Pablo's with the food and service to match the prices. When we arrived for lunch around noon, we were quickly seated in a very sparsely populated restaurant. All of the booths have bull-horn cutouts on the back, and the walls are freshly painted with vibrant colors and attractive artwork. But unfortunately for them, it takes more than paint to really create ambiance. You need people for that, too. Our server for lunch went through the motions of taking our order without having any real personality. There was no friendly greeting, no smile, no enthusiasm, nada. And even more annoyingly, he was clearly instructed to always refer to us as “amigos”. Now, I understand vein attempts to infuse Mexican culture into a fast-food Midwestern restaurant, but having a bored-to-death Caucasian saying “Are you ready to order, amigos? Can I get you anything else, amigos?” gets old really fast. The menus at El Toro are enormous without good cause. They basically take your standard Mexican-fare dishes (e.g., burritos, enchiladas, chalupas, tostadas, etc.) and then give you every possible permutation of those dishes. Those combinations then have the super creative names of Special Lunch #1, Special Lunch #2, etc. I ordered a Taco Salad Fajita — a tortilla bowl with fajita-style chicken, lettuce, tomatoes, guacamole, etc. The strangest addition to it was refried beans in my salad. I’ve ordered my share of Southwest/Mexican salads from inauthentic Mexican restaurants over the years—in truth it’s one of my favorite kinds of salads—and they all have had black beans. So, when I see “beans” on the menu for a salad, I assume black beans. I was surprised to see refried beans in my salad, and having seen what it looks like after eating for a few minutes, I now know why no one else used refried beans in a salad. Bad idea. The rest of the salad tasted fine; nothing special, unless you really, really like iceberg lettuce. The tortilla bowl tasted pretty standard, and there were no accompaniments that come with the salad. Other than the walls, the restaurant basically shots “low-budget”. We didn’t hear one outgoing, friendly server while we were there. 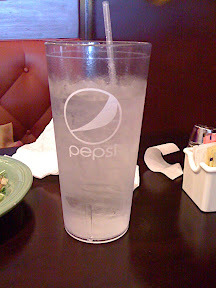 The water glasses are Pizza-Hut style Pepsi cups, and even the bills look like they were rung up on a 25-year old cash register or calculator with ticker-tape. As we sat and ate our meal, we concluded that El Toro is unlikely to last very long. If you’re craving Americanized Mexican food, you’re better off at Don Pablo's, though you’ll pay a little bit more depending on when you go and what you order. If you want something a little more high-end, head to Cactus Pear, where the dishes are more creative and better tasting, and the higher price gets you good, friendly service, too. We got hungry for lunch, and made a quick choice to try out El Toro, recently opened in Hyde Park Plaza, in the former Daybreak space. Just past noon on a Saturday, it was relatively empty; fewer than a quarter of the tables had people. The space its in feels like it could be a higher (middle?) end restaurant, but the El Toro decor seems to have been done on a tight budget. The tops of the booths curve up into horns (get it? Toro means bull, so...horns), there are pictures painted directly onto the walls, but that’s about it. The first indication that this is a fairly low-end restaurant is the candy on the register counter for sale. At some point I noticed that the entire waitstaff was male. I don’t know that it’s a big deal, or that it wasn’t just this particular shift, but the host, the waitstaff, the 11-ish year old kid behind the cash register who we assume came to work with his dad, every employee we saw was male, which just struck me as a little odd. The menu is overwhelming. There is a page of lunch specials, also good on Saturdays, and priced between $5 and $7, but completely uninspiring. They are simply different combinations of standard menu items, and numbered. As in, “lunch special 4” might be one taco, one chalupa, and one burrito. What’s the precise difference between those three at this particular restaurant? It’s unclear. They’re never described on the menu. So looking for a bit of inspiration (and description! ), we flipped past the lunch specials into the rest of the looooooooong menu. There is a section or two where the dishes have actual names, but there are more sections where everything is either numbered or lettered. In the vegetarian section, the dishes are A, B, C, instead of 1, 2, 3. There is also an a la carte section, so if you don’t like their combination of single items in the “specials,” you can create your own. They never actually explain what each item is, so if you don’t already know the difference, or if you realize that every restaurant you’ve ever been to defines these items a bit differently, you’re out of luck at El Toro. I ordered Veggie Fajitas. I got three plates: one with foil-wrapped, folded tortillas. One with pico de gallo, guacamole, shredded iceberg lettuce, rice-with-nothing-in-it, and a puddle of refried beans, and the third was a hot pan sizzling with my veggies: mostly onions, some green pepper strips, some tomatoes, and a few slices of button mushrooms. I took my foil-wrapped tortillas off of their plate so that I had a place to put my fajitas together. They were ok, but nothing particularly exciting. The veggies didn’t seem to have any seasoning, and everything else could have come from a jar, and I wouldn’t be surprised. For chain tex-mex, I recommend Don Pablo’s. For a more upscale version, I recommend Cactus Pear. If you’re looking for cheap-with-table-service, then (and only then) El Toro is your spot. Early Bird Special at Blue Water Grill? We were really excited to try a new restaurant during Restaurant Week. We had a reservation for dinner at Blue Water Grill, formerly known as the Village Kitchen, near Mariemont. We arrived for a late-for-a-weeknight dinner, and were surprised to find...that we were the only ones in the restaurant below the age of 65. Including all visible serving staff and the hostess. We stood there for a couple of minutes trying to figure it all out, taking in the nursing home newsletter on the counter and the advertisements for Easter brunch, on a chalkboard, posted inside. We mostly felt really uncomfortable and out of place, enough so that we ended up leaving in our utter confusion that perhaps we had stumbled on a different Blue Water Grill. Anyone have any insight into this restaurant? Did we miss out on a fantastic meal? Does it affiliate with a senior residence? Was this just entirely random? We're still scratching our heads over this one! It’s Restaurant Week! The coalition of Cincinnati Independent Restaurants is offering Spring Restaurant Week, a chance to try great restaurants at a lower-than-usual price! From March 16-22, check out the almost 30 different Restaurant Week menus available (and more are added each day). Most of them are offering a three-course meal for $26.09, with a few of the “more casual” participants offering dinner for two for $26.09. Although their website doesn’t mention it, most of these places do take reservations, and especially over the weekend, they’re probably a good idea, and even a necessity at some places. The three-course menus differ by which three courses they offer. Some are doing appetizer, salad, and entrée, while others are doing appetizer/soup/salad, entrée, and dessert. Naturally, I gravitate towards the latter, although I certainly understand the idea of separating appetizers and salad -- although I’m not sure I understand it at the cost of dessert, but that’s just me. The menus vary widely. I am disappointed in a few, such as Bella Luna. We’ve eaten there and had good meals, but their Restaurant Week menu offers no vegetarian (or even fish) entrée. It was crossed off our list for this week simply because there’s nothing I can eat! The same goes for Daveed’s (who, by the way, apparently thinks fish and scallops are vegetarian-friendly?! ), Red (although, to be fair, they’re a steak house and therefore not typically so vegetarian friendly), and China Gourmet. I’m also a little disappointed with menus like Vineyard Café's and Hugo’s, which don’t give actual options, just one dish per course. While I understand that the chefs may want to present a certain mixture of foods, as someone who can only eat certain things, that makes eating more difficult. Even during Restaurant Week, most restaurants are offering at least some choices, which makes the ones that aren’t stand out. We’re also psyched about the dinner-for-two for $26.09. That pricing makes it possible to potentially enjoy multiple Restaurant Week offerings without totally breaking the bank—and to feel like we’re getting our money’s worth, even at a lower-end restaurant. Looking forward to this week! Please share your Restaurant Week experiences in the comments! As faithful readers might recall, we first sampled the fare from Bangkok Bistro at Taste of Cincinnati last year, and our experience with their veggie spring rolls was pretty disappointing. But after several readers posted encouraging comments about Bangkok Bistro, we decided to give it, and its spring rolls, a second chance. The good news is that we’ve seen the light and had a wonderful meal (not to mention leftovers) at Bangkok Bistro; the bad news is that our original take on their spring rolls continues to be spot on. Bangkok Bistro is a larger than expected restaurant on the edge of Hyde Park (or Hyde Park East as some call it). You can tell from the aroma outside the restaurant why nearly every table was full on a Saturday night. Our experience that night had some high highs and low lows, but you’ll have to keep reading for the details. We arrived at Bangkok Bistro hungry, nay starving. And as we have a habit of doing in such circumstances, we knew right away we needed an appetizer. We had made a reservation, but unfortunately were running about 20 minutes behind schedule. Luckily, this wasn’t a problem, and we were seated immediately when we arrived. This leads us to our first low-point of the evening. We sat at our table studying the menus as we took in the organized chaos of the tables and servers around us. Ten minutes later, when we hadn’t met our server or even received water glasses, we knew something was amiss. And did I mention we were hungry? We politely grabbed one of the busboys walking by to inquire about ordering some food. This is where the evening took its first turn. Normally, I expect someone else’s server/busboy to tell me “I’ll see if I can find someone...” and disappear again. This gentleman’s immediate response was “I’ll find out who it is; in the meantime, I can at least get you some water.” As a former management student, the idea of a restaurant employee being so proactive was surprisingly refreshing. Anyhow, a moment later our server appeared. She was very friendly and apologized profusely, while explaining that the manager had forgotten to write down that we were seated. I gather our server’s tables were elsewhere, so she didn’t know we were there. Whether the story was true or not, we were happy to finally have someone’s attention and a chance to order food! As I intimated earlier, we started our meal with the veggie spring rolls. We had initially wanted soup because it was mighty cold outside, but none of their soups were vegetarian -- even the vegetable soup, go figure. The spring rolls arrived about 5 minutes later and looked, well, like spring rolls. There were two in the order (ignore the missing one in the picture, like I said we were really hungry). The spring rolls were about as boring as boring can be. They tasted like a pile of lettuce with some bean sprouts and no seasoning. Even the sauce was very watery and had minimal taste. For two hungry people, this was a disturbing sign, but the smell of the restaurant gave us hope for the next course. My main dish was a new menu item: Green Curry Pasta Salmon. The dish is basically a large salmon filet served over a mountain of angel hair with vegetables and a green curry sauce. When it arrived, I was impressed by the enormous serving size. Note to self: this is easily a dish to feed two or three people if you want to split it. All of Bangkok Bistro’s dishes can be ordered on a spiciness scale of 1 to 10. I went with 6 tonight, and the dish had enough kick to leave my mouth tingling afterwards, but not enough to make my eyes water and nose run. Overall, the dish was very tasty. The salmon was cooked appropriately, and the green curry sauce was delicious. I would have gladly traded some of the pasta for some more vegetables, but overall I was very pleased. As much as I enjoyed it, I think I’m more of a rice than pasta person when it comes to curry, so I’ll probably go back to one of the curry dishes next time. And despite the initial service and the spring rolls, there will be a next time. Thanks to all our commenters who stood by this place! We enjoyed our visit. I, too, was skeptical about trying Bangkok Bistro after our disappointing Taste. But since they’re nearby and we had heard more good things about the restaurant than bad, we decided it was worth a real shot. They initially were below our (admittedly low) expectations. The man who seated us led us wordlessly to a table, put down the menus and walked away without a word. Unfortunately, as described to my left, his silence was not exactly a mark of rushing back up front to let our waitress know she had a new table. At first, we pondered the menu happily. We had never been to the actual restaurant, so it was fun to see what they had, how they described (or didn’t describe) their different curries and other dishes, and to figure out exactly what we wanted to eat. Except that once that was done, we were ready to ask questions, order, and eat. And drink some water. Once our waitress finally arrived, she was good! The non-vegetarian soups (including not only a chicken-stock-vegetable, but a chicken-stock-miso!) were disappointing, but we figured it gave the spring rolls a chance to redeem themselves. The waitress was also helpful with other questions about dishes, happy to make substitutions (tofu and veggies for chicken and shrimp) and made sure that we knew that substitutions were doable on any dish. Except the soup, obviously. For my main course, I ordered the drunken noodles: flat noodles with a brown sauce, basil, tofu, and veggies, spice level 5 on a scale of 1-10. She informed me that 5 was about the level of Tabasco. Since I don’t really ever use Tabasco, I nodded my head. The dish was great. There was tons of tofu, and lots of vegetables. I was bummed that I forgot to order mine minus-the-broccoli, but luckily Michael doesn’t mind being the receptor of a pile of rejected broccoli. If their spicing is consistent (which at many restaurants it isn’t), I would probably order a 4 next time, but spiciness is probably even more subjective than, say, opinions of spring rolls. The dish was very good, as were the leftovers the next day for lunch! My one comment of our waitress (after her eventual arrival) was probably not her fault. We didn’t see her at any of the tables nearby ours, so we got the sense that her tables were pretty spread out. She came by to make sure we were enjoying our food, and again at the end of the meal. We didn’t really need anything else, but the fact that we didn’t see her much after we had food also meant that if we had needed anything, it would have been hard to find her. Not a terrible complaint, simply an observation. My overall impression was that the food (aside from the spring rolls) was good, and the service was decent (once they realized we were there). I’m psyched to have found another good restaurant nearby, and I’m sure we’ll be going back again! This post is one of the few about a restaurant I hadn't really planned to visit until literally 10 seconds before I turned into the parking lot. Noodles & Company is all about pasta (as the name makes obvious) and has the appearance of being just another neighborhood fast-food joint. But if that's what you are expecting, you're definitely in for a treat. I visited the Noodles & Co. location across from the Kenwood mall as I was driving up Montgomery Road with a friend and starving. We were on our way elsewhere and didn't want to stop long enough to eat at Dewey's, Cheesecake, or some other dine-in spot along the way, but we weren't desperate enough to hit up a true fast-food joint. Noodles seemed like a decent compromise. I had seen the chain all over the place, but somehow had never been inside one. The Noodles menu is based on several permutations of pasta, veggies, and proteins (chicken, beef, shrimp, or tofu) -- 432 permutations to be precise. They've divided the menu by cuisine theme -- American, Asian, and Mediterranean. Each style has a few options for pastas, a soup, and a salad. Or just can make whatever combination you'd like. I decided to start with a Chinese Chop Salad, which includes the usual fixings of sesame seeds, Asian vegetables, crispy wontons, and a sesame-soy dressing. The salad was bigger than I expected, but probably not big enough for a meal. I was impressed, though, because the ingredients looked and tasted very fresh and I've certainly had smaller, less tasty Asian salads for much more money. My friend opted for the smaller Cucumber and Tomato Salad, which is simply chopped tomatoes, cucumber, and onions with a little balsamic vinegar dressing. I didn't taste it, but it certainly looked fresh, and my friend was very content. Since the name of the place is Noodles, I certainly wasn't going to leave without some pasta. My choice was the Pasta Fresca, one of their "Mediterranean" choices. The Pasta Fresca is penne with sauteed spinach, tomatoes, and onions in a balsamic vinegar, white wine, and garlic sauce. Now, I'm not one to frequently order pasta at a restaurant, largely because I think I can do pasta at home just as well and for a fraction of the price. In other words, my expectations are pretty low for restaurant pasta because, seriously, how can you screw up pasta? That said, Noodles impressed me. The pasta was hot (which surprisingly doesn't always happen elsewhere), not drowned in oil (a la Pompilio's), and had exactly the flavor I wanted from those ingredients. All in all, this was a successful, quick stop for lunch. It's inexpensive, fast, fresh, and generally pretty healthy -- a hard combination to come by on the road. If you need a quick lunch break, give this place a shot. You won't regret it.